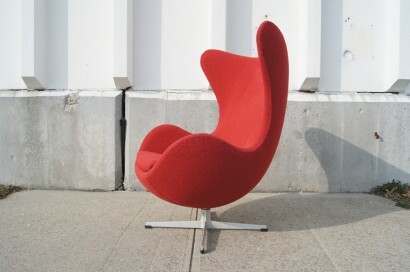 Unveiled at the Royal Copenhagen Hotel in Denmark in 1958, the poster child of Danish design has become one of the most coveted chairs of all time. 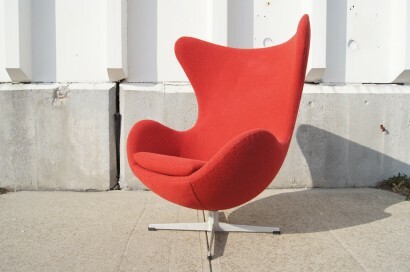 50 years after Danish designer and architect Arne Jacobsen first created the chair in his garage, the timeless, modern design icon is found in the Metropolitan Museum of Art, the National Art Center in Tokyo and residences around the world. 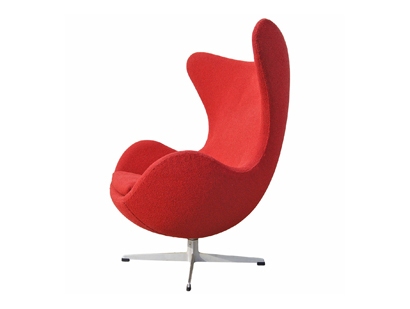 The Egg chair is still manufactured by Fritz Hansen, the original Danish manufacturer. 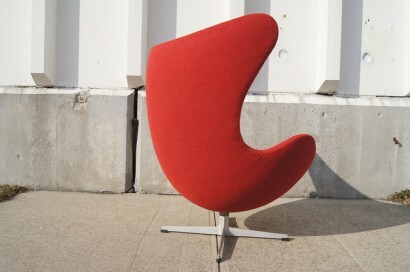 The chairs are completely handmade with over 1,300 stitches, and more than four yards of fabric. This example is an early edition (#1164). 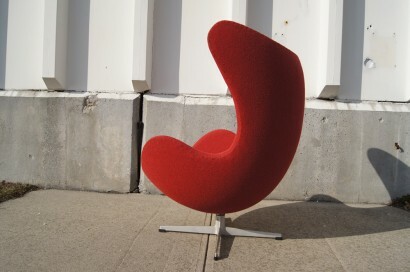 It was previously reupholstered in Knoll’s Cuddlecloth textile. Good. 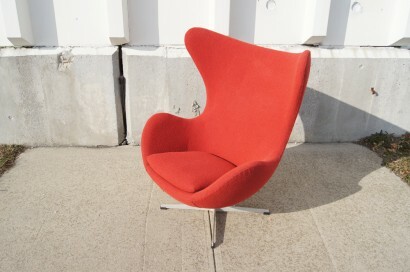 Textile is in very good condition, but is slightly stretched on the seat. 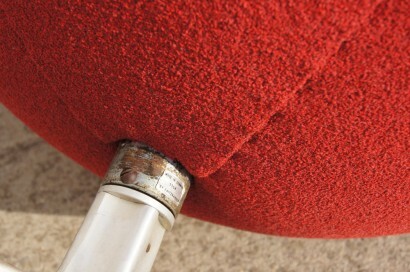 Could use reupholstering.